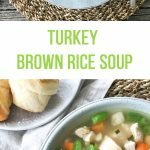 This Turkey Brown Rice Soup is a great way to use up turkey dinner leftovers! 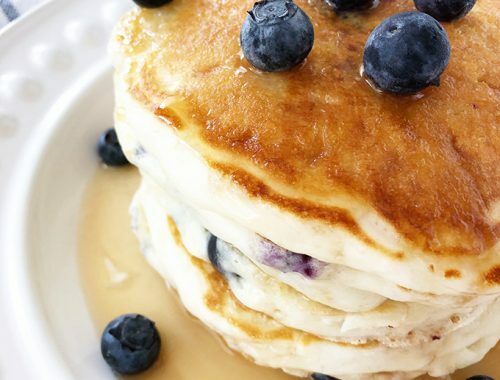 It’s simple to make, and so delicious! 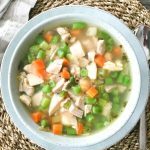 This soup is one of my favourites to make. It’s hearty, loaded with turkey, vegetables and rice, making it so comforting. 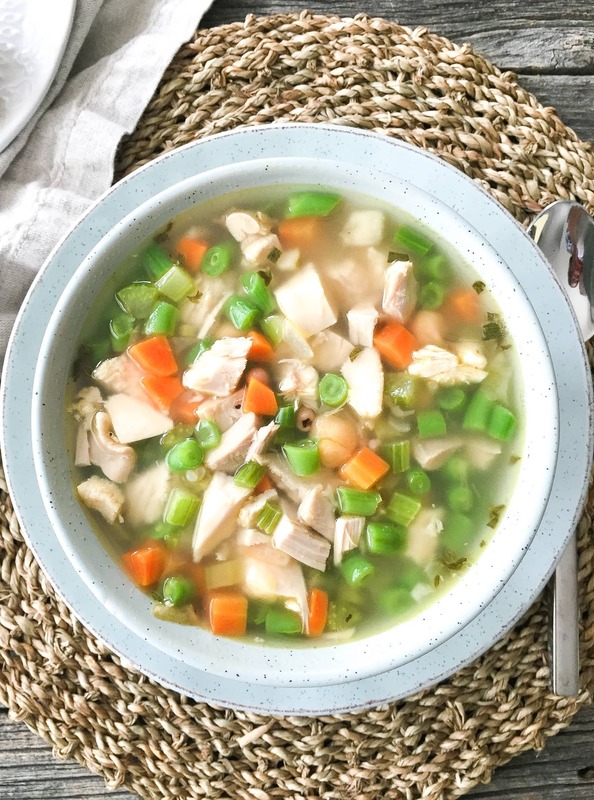 And it’s a perfect soup for all of your holiday turkey dinner leftovers! I love being able to use up turkey dinner leftovers and create a brand new meal. 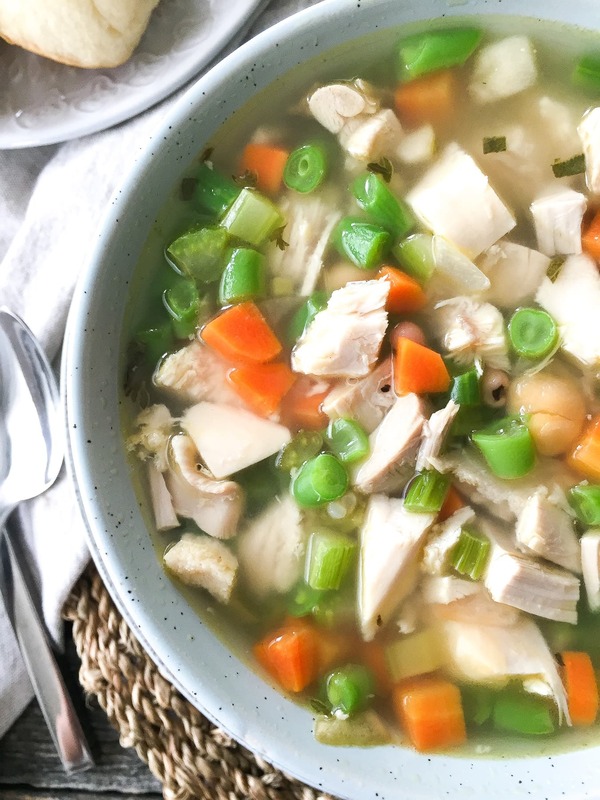 Sometimes I’ll make homemade stock from the turkey carcass and use it to make this soup, even though I’m often exhausted (in a good way) after hosting holiday dinners. But when I do actually make stock I’m always so glad that I took the time to make it for the base of this soup. 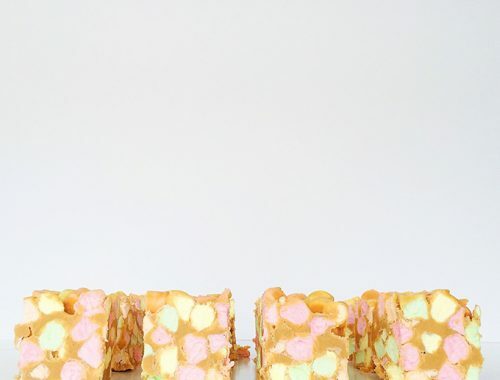 It’s very easy, and so satisfying to know it was homemade! But sometimes we don’t feel like making stock, and that is just fine! 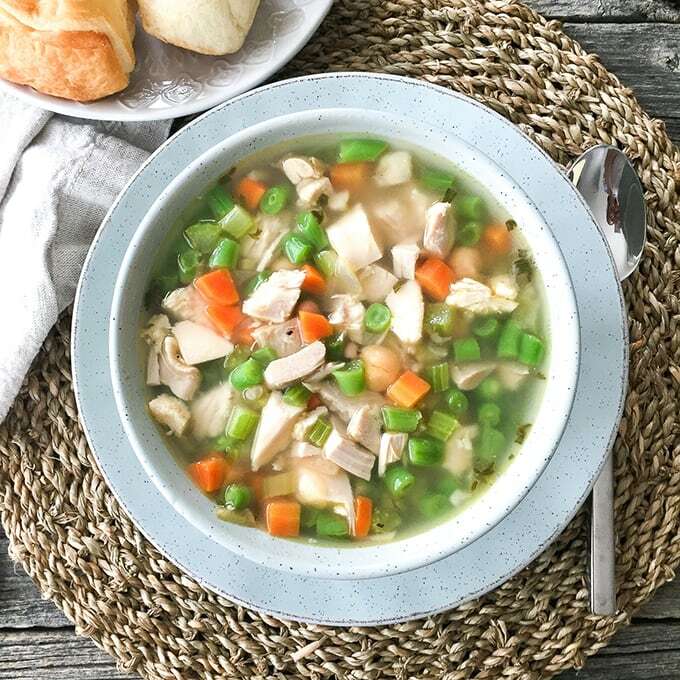 Pre-made chicken or vegetable stock is perfect in this recipe. For this soup, I add as many leftovers from our turkey dinner as I can…including leftover Wild Rice Stuffing (I just remove the raisins). If there are leftover carrots or green beans, I add those too. 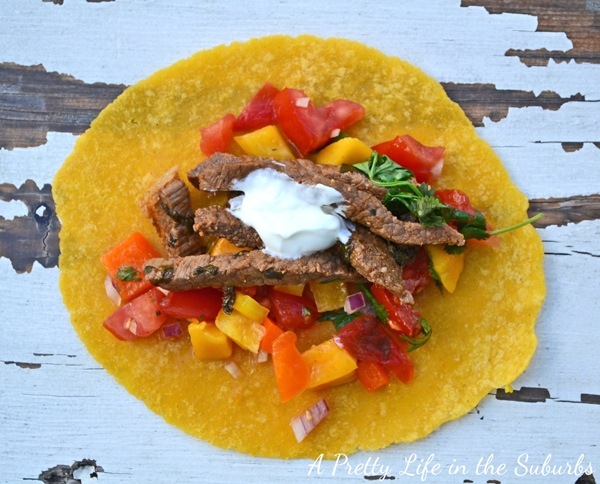 It’s a great way to breathe new life into leftovers! This recipe makes quite a big batch, and will feed the 5 of us for one dinner, then I can send the remaining soup with the kids in their lunches for school the next day. Kids love getting soup in their thermoses! I love to serve this soup with my Braided Pumpkin Bread…together is is the perfect cozy supper. Enjoy! Bring your stock to a low boil, then add the rice. Cook until the rice is done. See notes. While the rice is simmering, saute the carrots, celery and onion in the butter until soft. Stir in the thyme. Set aside. Once the rice has cooked, add the cooked vegetables and turkey. Simmer gently for about 20 minutes. Add peas, simmer for about 5 more minutes. See notes. If you have leftover rice, instead of adding uncooked rice, add your leftover rice about 15 minutes before you serve the soup. Add leftover carrots, green beans, basically anything you think would taste great in soup! I’ve even added chickpeas! Add leftover carrots, green beans, basically anything you think would taste great in soup! I’ve even added chickpeas. 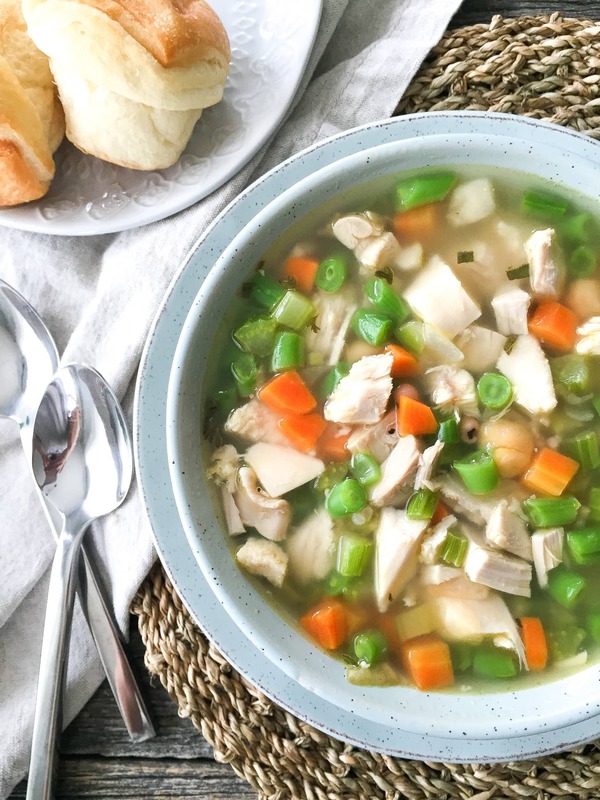 You can use this recipe as a base for Chicken Noodle Soup, or a Chicken & Rice Soup. Use what ever ingredient ratios you like…the more, the heartier! This soup is also very good with wild rice. This recipe was originally posted in October of 2011. I just updated the pictures and reposted! Yum Jo-Anna! That looks delicious! I am totally getting back into eating soups now that the cooler weather is back! Yum…love soups and love the suggestion for wild rice! Mmmmm! That looks so yummy for a cool fall evening! YUM! That does look delicious and so handy for busy days. Love the photography! This looks perfect for a night in cuddled up. Thanks for the recipe. Sounds delicious. Thank you for sharing. I would love for you to stop by and link up your project to More the Merrier Monday. It lasts through Wednesday so you have plenty of time to link up.